I’m always up for a coffee date — even during a snowstorm! If you want some winter date night ideas, here’s an incredible list from Club31Women. But life happens and we can’t always sneak away and head to our favorite coffee shop. 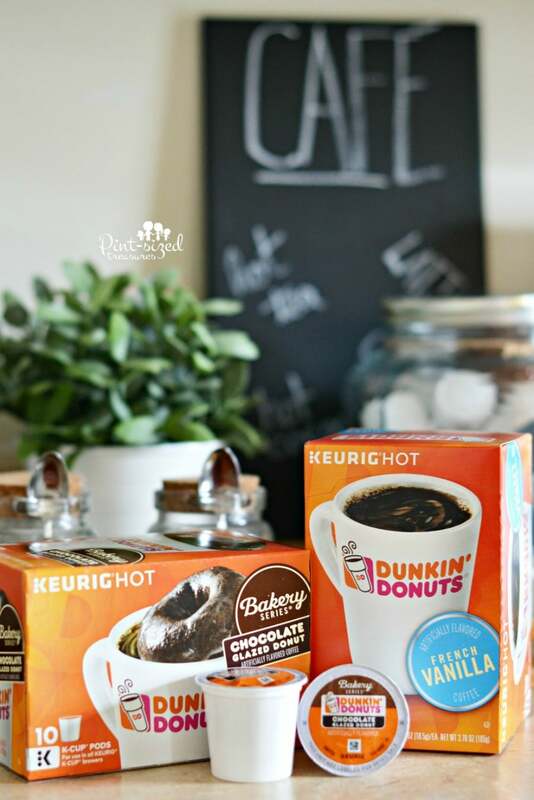 What’s a coffee lovin’ mom to do? 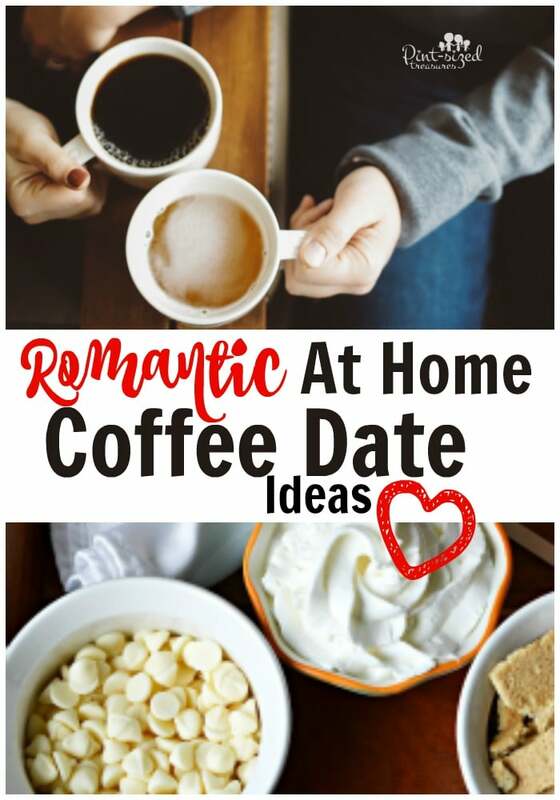 Enter romantic at home coffee date night ideas. These creative and romantic ideas keep all coffee lovin’ moms and dads happy! And if you want to look super-cute for your date night (which I HIGHLY recommend) here are some five-minute beauty ideas for date night! Because a busy mom needs QUICK! Create a coffee bar. This is such a fun idea! Go all out and have chocolate syrup, homemade whipped cream, plain whipping cream, white chocolate chips, smashed graham crackers and marshmallows, cinnamon, traditional coffee syrups and even flavored sugars. It’s fun to create new coffee combinations! 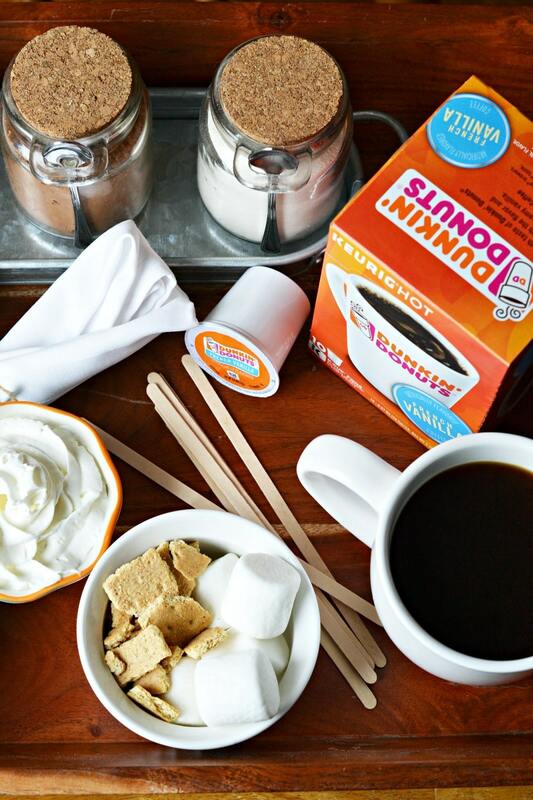 I had no idea I would actually like s’mores coffee…but now? Use a blindfold. You and your spouse can take turns creating fun coffee combinations for each other. Then, let your spouse try your new coffee combination while wearing a blindfold. Your spouse has to guess the exact ingredients you added to your specialty coffee. Whoever gets the most ingredients correct wins! Find out the truth. Take turns asking these questions to each other. You may think you know your spouse’s coffee choices — but you may be surprised! Here’s some fun questions to ask! 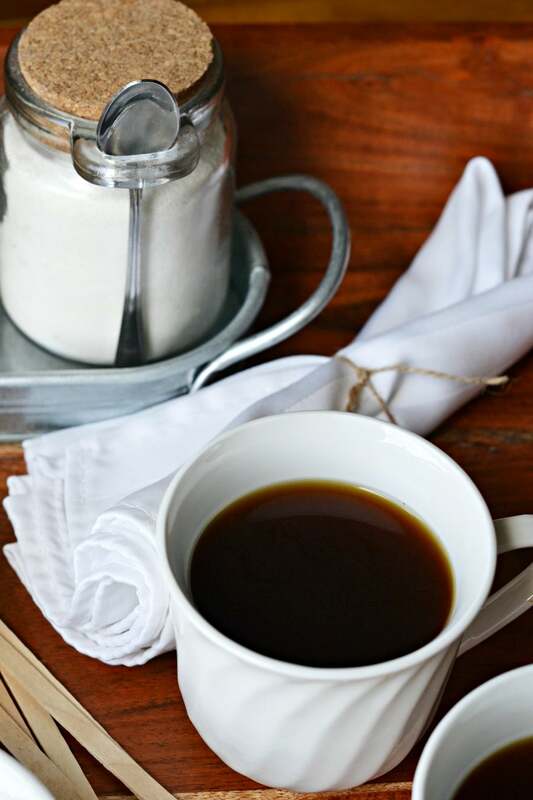 Do you prefer expresso, French Press, K-cups, drip, cold brew or instant coffee the most? Do you prefer hot or iced coffee? Do you like chain coffee shops or individually owned coffee shops? How many cups of coffee do you prefer to drink on a daily basis? Does coffee help you relax or perk you up? When did you begin drinking coffee? Were your parents avid coffee drinkers? Build a tower! 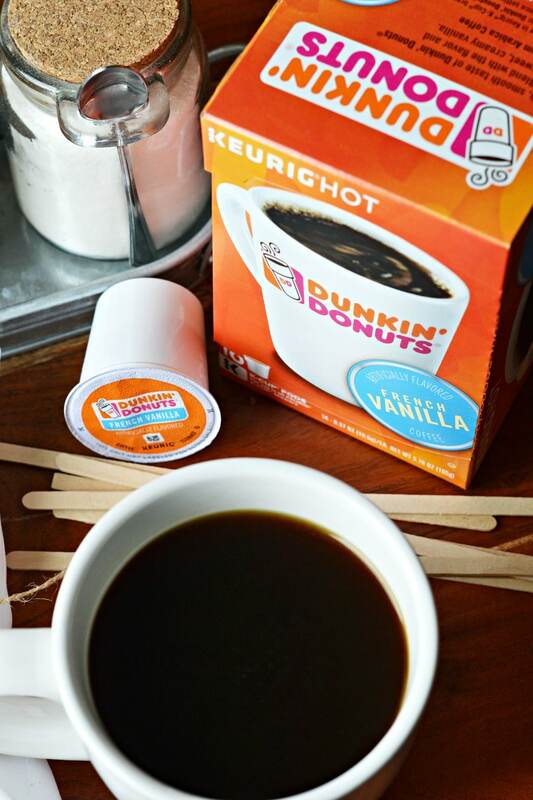 Keep those empty K-cup containers and have a coffee tower building contest! You can use coffee stirrers to help stabilize your tower where needed. Whoever makes the highest tower wins! Curl up for a good movie. Go ahead and plan on watching your fave movie on your coffee date night. For some clean date-night movies, My husband and I totally recommend this version of Sense and Sensibility, this version of Pride and Prejudice and Beyond the Mask. Beyond the Mask is an action-filled movie with some historical fiction and romance weaved through it. Make date-night movies extra fun by taking a sip of coffee for three pre-determined phrases or words. For example, every time an actor or actress says the words “love,” “us,” or “coffee,” you and your spouse have to drink a sip of coffee! Speak sweet nothings. In under one minute describe your spouse using only descriptive words pertaining to coffee. Have one silly round and one romantic round. Want more date night ideas? Check out our most popular date night article — SPONTANEOUS date night ideas! May your marriage be BRIMMING with date night ideas! 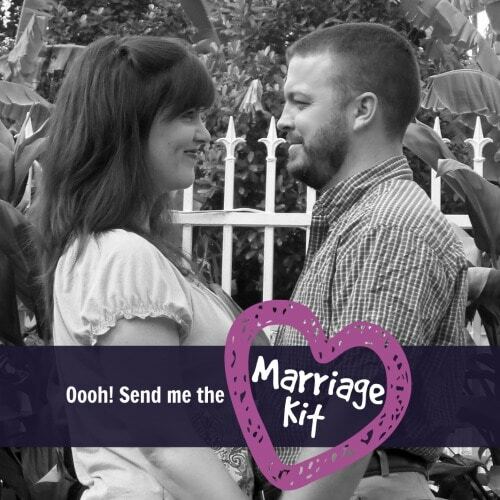 And don’t forget to grab your FREE marriage kit that’s overflowing with printables to keep your marriage spicy hot! 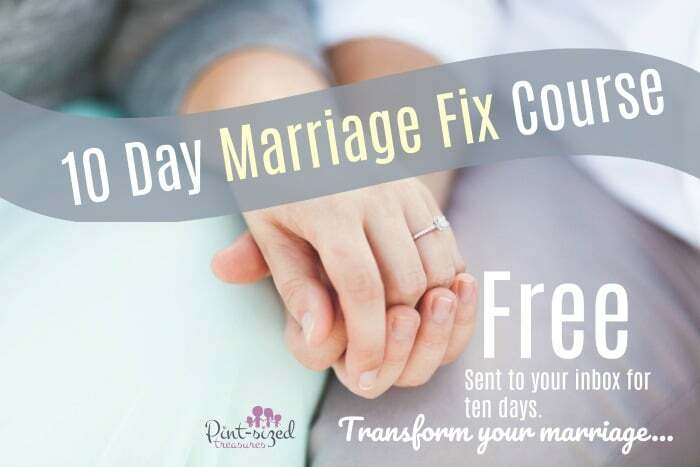 Plus, we have a FREE, 10 Day Marriage Fix Course you can start right NOW! Enjoy your coffee date night at home! Which idea will you try first — or will you try them ALL on one coffee date?